As demand for plant-based food grows, the race is on to create the best vegan burger. Leading the pack is Impossible Foods and Beyond Meat. Impossible has raised $182 million in venture funding from top silicon valley venture capital investors to develop the Impossible Burger, a vegan burger that bleeds. Beyond Meat recently launched a pea-based “raw” burger sold in the meat case at Whole Foods and added Tyson Foods to its list of investors. Now there’s a new burger entering the race. 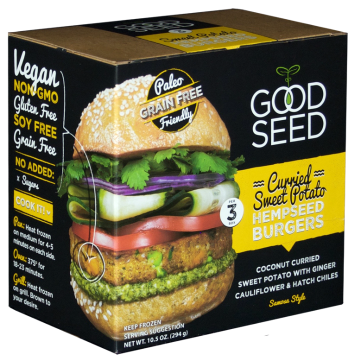 Austin, Texas-based Good Seed is a fast-growing vegan burger brand, featuring four burgers made with ingredients like hempseed, chia seeds and seaweed. Its ingredients are gluten free, allergen friendly, GMO free, soy free, have no added sugars and are almost all organic. It also has the only paleo, grain-free option in the category. Currently sold in 400 doors in four regions, the company has a 32 percent gross margin, but anticipates its margins will grow to over 40 percent as it scales. As we get ready for FoodBytes! 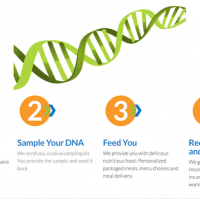 San Francisco, the premiere food startup pitch competition taking place in San Francisco on March 16, we spoke with Good Seed CEO and Co-Founder Erin Shotwell, who will be pitching. Our interview is below and has been edited slightly for clarity. Want to see Good Seed and 19 other game-changing food and ag startups pitch? 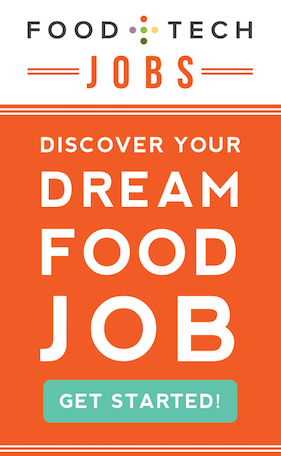 Snag your ticket to FoodBytes! SF on Thursday, March 16 for 20% off with the code FTC HERE! Danielle Gould: What is Good Seed, and what problem does it solve? Erin Shotwell: Good Seed is a chef-driven plant-based food company. Our mission is to provide easy access to clean and nutrient dense plant-based foods for everyone. We created our products to help combat the over abundance of ultra-processed foods in the American diet and provide people with satisfying plant-based options that reduce dependence on animals for flavorful protein. We aim to get more veggies to the center of the plate. DG: What is innovative about Good Seed? What differentiates you from competitors in the crowded vegan burger market? ES: One of our Founders has a background as a plant-based chef and really knows how to create amazing flavors with plant-based ingredients! The taste is a big differentiator. We also take a nutrition based approach by selecting whole food ingredients that are nutrient dense, easily digestible and do not cause inflammation. We love sustainable proteins like hemp and lentils. Our beans and grains are sprouted and we have paleo/grain free options to provide solutions for people with different dietary approaches. Our burgers are soy free, allergen friendly and gluten free. We created our products to have widespread appeal. DG: Who is your target market? ES: We have a strong appeal to healthy eaters and taste driven individuals of all ages but our strongest appeal is to millennials, who eat more meat alternatives on a regular basis. Our larger focus is on flexitarians, the 36 percent of Americans that now consider themselves meat reducers. DG: How many stores are you in? Which stores? ES: We are in over 400 doors in four regions so far, including three regions of Whole Foods, Central Markets, Kroger, Natural Grocers, Market Street, Raley’s, Nuggets, Huckleberry’s and many co-ops. We also have a few food service accounts and are increasing our focus on food service in 2017. DG: What is your gross margin? ES: Currently 32 percent with most of our focus on the retail channel, but our margins will grow to over 40 percent with scale in the next few years. DG: What’s the velocity of your category? ES: Six units per store per SKU per week is good movement for the category. DG: What is your growth strategy for 2017? ES: In 2017 we are expanding in key regions along the west coast and north east and will be very close to national presence by the end of the year. We are also increasing our focus on the food service channel this year and have some exciting opportunities developing. DG: How much capital have you raised to date and from whom? ES: We have raised $640,000 from angel investors and Stray Dog Capital. 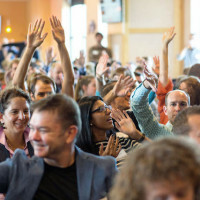 DG: Why are you participating in FoodBytes!? 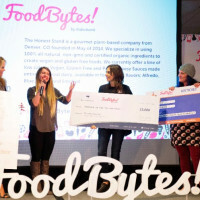 ES: We are excited about FoodBytes! vision and their focus on solutions to our food and agriculture system. We would like to make more contacts with others in the industry providing these solutions and find more funding partners that believe in our mission. Learn more about FoodBytes! and the companies pitching here, and snag your ticket for $35 off with the code FTC here.